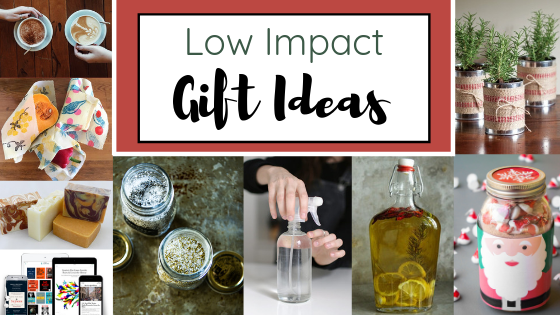 There are plenty of resources available online if you’re looking for zero waste and low impact alternatives to give your loved ones this year. We’ve pulled together a list of our favourites to share with you! Your local bulk store or health food store should have everything you need for these gift ideas! Pro tip: At the Bulk Barn, you can avoid all packaging by bringing your own clean, reusable jars and containers, or buying jars provided in store. Simply have your jars weighed before filling them up, and voila! Waste averted. Skip packaging altogether with these fun experience gift ideas! The "Ultimate Guide to Eco-Friendly Christmas Gifts"